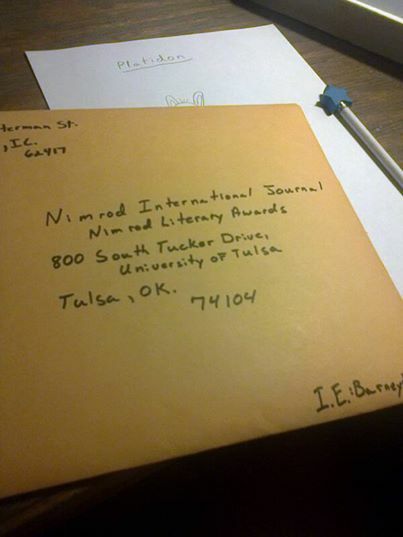 Barney & Lexi off to The Nimrod International Journal. I would be not be honest if I said I wasn’t crazy over Barney & Lexi, because I am! Partly because Barney and Lexi were real life pets that my grandparents had while I was growing up. Barney was, in reality, not very intelligent! I recall taking him into the countryside and letting him chase game, only to forget what he was doing and lose them in mid route, lol. Lexi was one of the most unusual felines that I will ever meet in my lifetime! She was a black and white tabby that had a mustache and goatee around her mouth. I remember visiting my grandparents and Lexi would sit in front of the television and watch t.v! Silly, but she would do that! Both of these pets will forever hold a special place in my heart and I felt honored to write: Barney & Lexi: Lost In Lawrenceville. If you feel honored or inspired to do something today, get out there and make it happen! I know you can do it! Live With Passion! !